We recognize at JPG that a wedding should be treated as a serious event, but that doesn’t mean it can’t be fun! 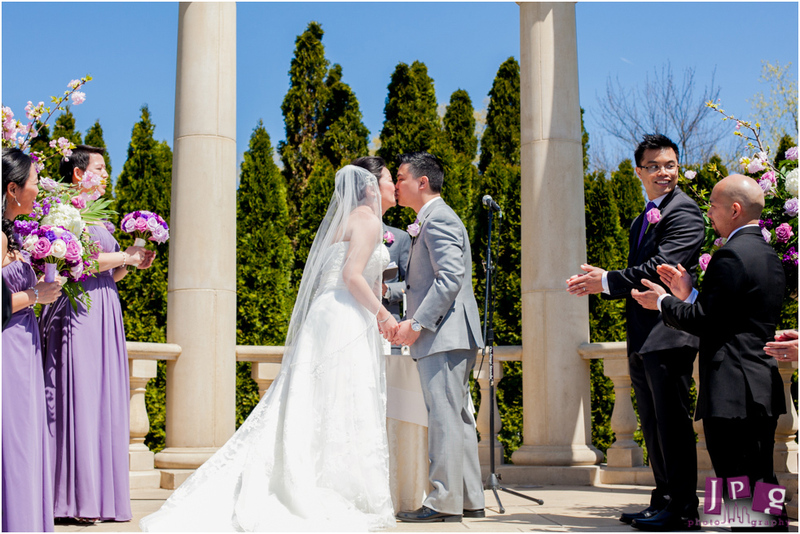 The weather couldn’t have been nicer at Lisa and Jason’s feelgood wedding at the Rockleigh Country Club in Rockleigh, NJ. Family played a huge role in Lisa and Jason’s ceremony. Cousins and brothers acted as groomsmen and family portraits were taken. 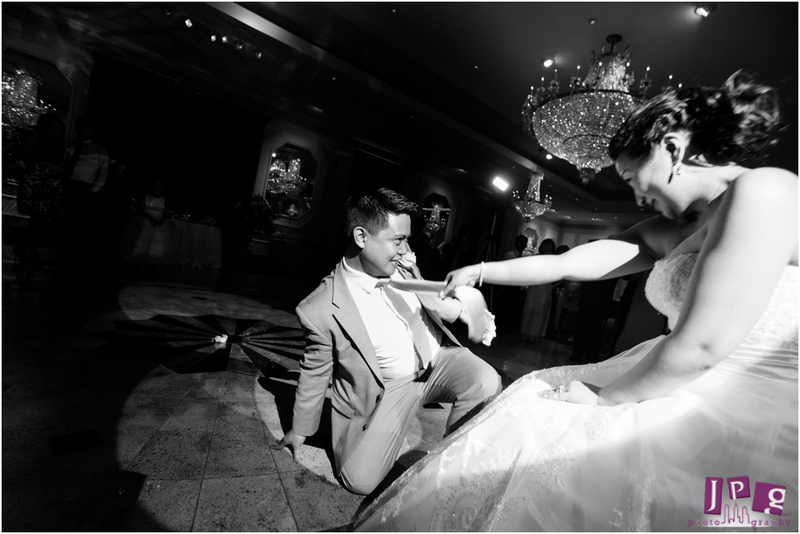 We all laughed when Lisa’s shoe got stuck in a crack and fell off coming up to the altar and someone yelled “Cinderella!” Good thing her prince was waiting close by! The reception was held at the same venue in an elegant hall cloaked in purple. The couple’s lightheartedness came out through their decorations in the room; Mickey and Minnie as Luke and Leia were used as cake toppers and Mr. Potatohead was featured in the place settings. 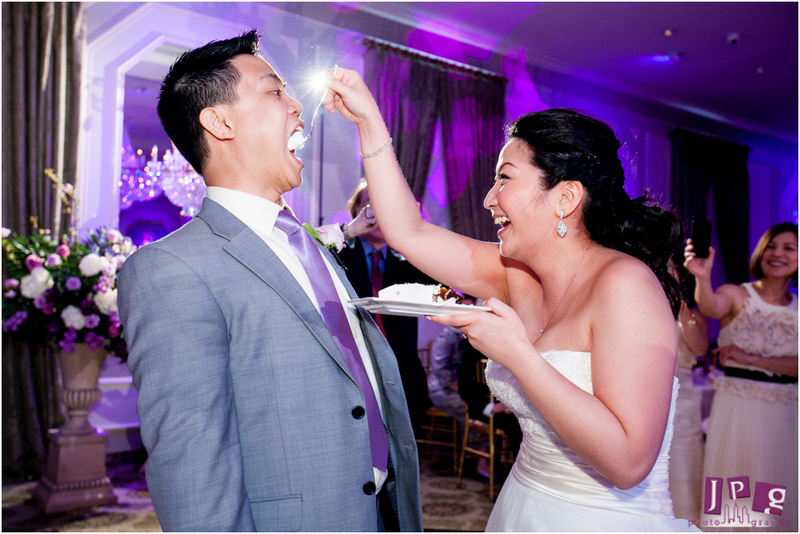 We all loved the couple’s enormous dessert buffet! An entire room was full of cake, parfaits, deep fried oreos and two chocolate fountains. Bet you wish you were there! Lisa made a wardrobe change toward the end of the night with a traditional Chinese dress. Both Lisa and Jason danced comfortably in Sperry Top-Siders and their families joined in all night! Thank you, Lisa and Jason, for making JPG a part of your special day! We wish you a lifetime of happiness and encourage you to keep your carefree spirits!